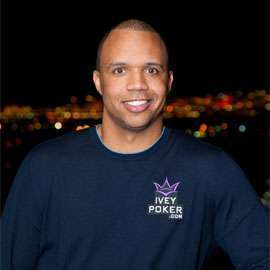 Preparations for a civil trial pitting Borgata Casino parent company Marina District Development Co., LLC against famous poker pro Phil Ivey and a female companion will continue, following the recent denial of a motion by Ivey’s defense counsel to dismiss the case. Ivey and his female companion, Cheng Yin Sun, were sued by the Borgata last April over the alleged illegality of an “edge sorting” card identification technique employed by the pair at the casino’s high-stakes punto banco tables. Ivey, who financed the pair’s trips to Atlantic City, profited by about $9.6 million over four trips to the Borgata to play the card game, a variant of baccarat. The casino eventually filed a host of civil claims against Ivey and Sun in an attempt to recover the $9.6 million lost to the pair at the casino’s tables. The casino also named card manufacturer Gemaco, Inc. as a co-defendant on some, but not all, of the civil allegations. In an opinion filed last week, presiding judge Noel L Hillman denied the dismissal motion made by Ivey’s attorneys, which was filed last July. Judge Hillman also ruled that the state would not be allowed to file a reply to one technical point made within the Ivey dismissal motion, an allegation that the casino never brought its concerns over Ivey’s and Sun’s actions to the attention of the New Jersey Division of Gaming Enforcement (DGE), but that for undisclosed reasons, the DGE chose not to take action against Ivey and Sun. According to that portion of Judge Hillman’s order, the Borgata and its counsel must show cause within 14 days as to why the actions of Ivey and co-defendant Sun, described as “alleged violations of the [New Jersey] Casino Control Act,” shouldn’t be — or shouldn’t have been — referred to the Casino Control Commission or the Department of Gaming Enforcement.” The implied assertion is that Ivey and Sun might therefore have been investigated by the state’s gaming authorities in connection with their alleged card-sorting activities. Even though Borgata pleads a claim for breach of contract, rather than a private cause of action for violations of the CCA, Borgata’s claim is actually just that – a claim that Ivey and Sun committed various violations of the CCA and they are therefore not entitled to their gambling winnings. Consequently, although the CCA does not explicitly preempt Borgata’s breach of contract claims against Ivey and Sun, it appears to the Court that the CCC or the DGE should consider in the first instance whether Ivey and Sun’s actions violated any provisions of the CCA. In other words, Hillman has ordered the casino to divulge the exact nature of its alleged discussions with New Jersey gaming officials over the alleged illegal actions of Ivey and Sun, with the likelihood of dismissal of that portion of the suit if satisfactory answers aren’t forthcoming. However, Judge Hillman let stand separate claims made by the Borgata against Ivey and Sun, including fraud conspiracy and civil RICO allegations. Though covering much of the same territory as its breach-of-contract assertions, these claims are based on separate legal theories. From here, the case will head into a discovery phase expected to stretch for several months at a minimum. Following the discovery phase and the inevitability of more motions made to the court, a civil jury trial looms as one possible resolution to the dispute. [A]t this stage of the proceedings Borgata has pled plausible claims sounding in fraud. The Court will therefore allow the case, in addition to Borgata’s claims against Gemaco, to proceed through discovery, and it will be for the CCC, DGE, and perhaps this Court or a jury to consider the validity of Borgata’s claims and the propriety of Ivey and Sun’s actions.